4. Click in "Tools", after "Script Editor"
// For this simple app we only need to do one thing. 1. This check queue of requests for sending of data. 2. Checks if the user name already exists and updates the score if it is higher. 3. Sort the users with the highest score for the first positions and update the leaderboard. 4. Return a JSON object. 6. Click in Archive, after"Save"
7. Click in Publish, after"Deploy as web app"
3. Create a project in Stencyl and Enable the extension. 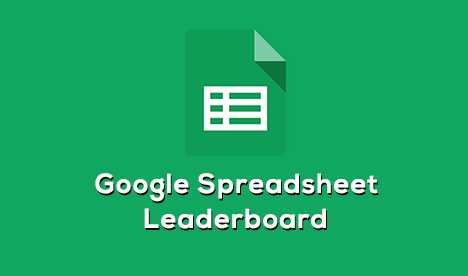 To get the name of the first placed use "name1"
To get the score of the first placed use "score1"
To get the name of the tenth placed use "name10"
To get the score of the tenth placed use "score10"
Data is updated only after each submission. Sending and receiving data occur at the same time. Because there is no user authentication, different users can use the same name. 30/03/2017 - Ranking TOP 10 Players . WOW! Very nice. Will be looking into this. Thank you for this wonderful extension! Impressive! Thank you so much for this useful extension. This looks to be VERY useful. Thank you!